No Limits Eastern Shore is sorry to announce the passing of longtime disability rights advocate Marylin Copeland of Norfolk, VA. Among the many roles she held in her lifetime of service was that of Regional Coordinator for the Brain Injury Association of Virginia, serving the Tidewater area, and through her work with BIAV she came to be a friend to the brain injury survivor community of the Eastern Shore. Marylin retired from brain injury services several years ago and was continuing her advocacy with the Norfolk Chapter of the National Alliance on Mental Illness (NAMI-Norfolk). She was perhaps best known for her powerful advocacy work on behalf of Pam Brown, a brain injury survivor know as “the Hula Hoop Lady” who was tazed by police near Wards Corner, but her efforts on behalf of survivors of brain injury went well beyond that single case. She was a tireless resource for problem-solving and disability rights and her assistance in the early years of the No Limits brain injury day program was invaluable. 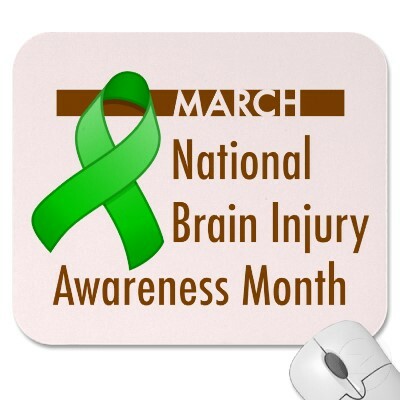 Another successful Brain Injury Awareness Day has come and gone! Each year on brain Injury Awareness Day No Limits sends a team of staff and members to the VA General Assembly in Richmond, VA to visit with the Delegates and Senators to ask for continued support for brain injury services! For the 2nd year in a row we made dog treats for ALL of the Delegates and Senators (that is over 300 treats folks)! Thank you to the Brain Injury Association of Virginia for hosting this special day! Please keep reading to view our pictures from this year’s Brain Injury Awareness Day trip. Brandon, DJ, and Rachel visiting with Senator Lynwood Lewis! It is always a treat to speak with this kind man. Say what?! We got to see our pal Terrance who was also visiting delegates with his new friends from Denbigh House! Terrance seems to be doing well; it was so good to see him! This year we attended a rally for Brain Injury Awareness outside of the General Assembly. Listening to Anne McDonnell, Executive Director of the Brain Injury Association of Virginia, speak at the rally! Close up of Anne speaking. CL did his good deed for the day. He put a quarter in the meter to prevent someone getting a ticket! Nice job CL. Zel with Jody Hopkins, Rob Bloxom’s Assistant! Sharp dressed men! We are so happy we bumped into Terrance. It was a busy day but not too busy for an old friend! Representing the 2 day programs in the state of Virginia! Kyle and Zel pose with Zachary Daniel from Brain Injury Services: Fredericksburg Community Day Program! Our friend Charlene Harris, a missionary from the Democratic Republic of Congo, came to discuss the great work that she does in Africa! Charlene brought wonderful pictures of where she lives to go along with her stories. All of the pictures were so interesting! We would like to take this opportunity to thank Charlene’s mother, Margaret Ann Harris (pictured in the green shirt above), for everything she has done for our program as well. Margaret Ann has been a volunteer and friend of No Limits for over 15 years. Boy did we luck out in meeting these wonderful women – they have both been so good to us! Margaret Ann was here with us when Charlene came to visit this time but unfortunately we did not get her in any of our pictures, which is why we used this photo of Margaret Ann at a Christmas party in the old No Limits building in the early 2000s!!! A picture of patients waiting to be treated at the local hospital. We call this picture “the Star Transit of the Congo” because this is the public transit system there! Charlene is a great speaker and we love hearing her stories. Women waiting to give birth at the local hospital – they walked miles to reach it! A picture of a wooden map which outlines where Charlene lives and works in Africa! Charlene is a wonderful lady and we think she does great work in the Democratic Republic of Congo! We would like to thank her so much for always coming to see us when she is able. We love hearing her speak about the wonderful things she does. Check out some video clips below so that you may hear our awesome friend Charlene speak as well! In this video hear Charlene discuss the soap making industry where she lives in the Congo! This is a continuation of Charlene discussing the soap making industry. In this video clip Charlene shares stories about other missionaries that she works with in the Congo, the politics of Africa, and about her pet cat named “Sweetie”! In this last clip Charlene is singing a hymn in Swahili. We think it is so cool that she can sing in another language! Thank you again for everything that you do Charlene! You are a role model and we love to see you!